Railroad, a loose network of people who guided 30,000 escapees secretly northward. I had heard of the book Uncle Tom’s Cabin, written by Harriet Beecher Stowe. But I had no idea that Uncle Tom’s cabin was actually a real Canadian home –of Josiah Henson, a former black slave from Maryland. Chatham-Kent County area an agricultural area for Ontario. Known for tomato production. Dresden ON 2009. However decades later, I visited several times, a close friend who lived deep in Ontario’s tomato country. 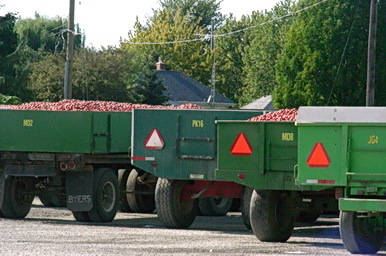 Here truck convoys of tomatoes lined up at the Heinz processing plant every fall. My friend lived near the heritage site of Uncle Tom’s cabin, in Dresden. Dresden was known to the blacks who settled there, as the New Dawn Settlement. In this town, as well within a 75 km. radius, are heritage buildings, commemorative plaques and tiny local museums that mark the legacy of tough former slaves and their descendants. New Dawn Settlement was built for and by former slaves. It included some cabins, a mill, a sawmill and an industrial training shop. When you see these sites, it makes our 21st century efforts of do-it-yourself living, super pale. These people were eking out food and living from the land in a society, with still residual trappings of racial discrimination. Canada had some of its own former slaves (Slavery was abolished in 1793 in Upper Canada), still its own laws and societal restrictions that segregated blacks in the 19th century which may have not been as corrosive as the U.S., but wouldn’t have immediately invited blacks in hallowed echelons of white upper class or even middle class. We headed over to Buxton where there used to be a thriving black community in the 1800s, that offered cultural activities in music, drama and fine arts to its own residents. There was even a sizable school for black kids that was built by the visionary Reverend King, who was a former slave owner in Louisiana. Fortunately we were given an impromptu tour by Spencer Alexander who was a 6th generation descendant of Underground Railroad fugitives. He was from a line of school teachers in this area which include his father and great grandfather. 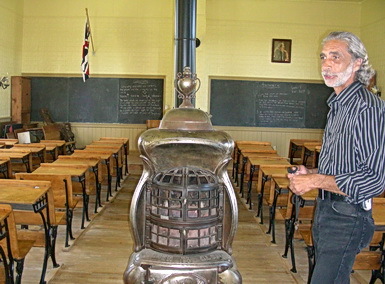 Rows of wooden desks with inkwell desktop holes and iron legs were kept for present day educational sessions to teach current schoolchildren about hardship of post slavery days. The importance of literacy as the road to self-determination and community intellectual growth, by mastering reading, writing and basic numeracy skills, was evident. There was a mini black renaissance of home-grown arts and intellectuals. While while the U.S. Civil War was brewing, this area of Canada produced 6 black doctors. Buxton-Dresden area became a small community with some black intelligentsia and high active, engaged locals. Buxton Museum 2009. Dr. Anderson Abott was the first Canadian-born black doctor with his medical degree in 1861 from University of Toronto. He joined a corps of only 8 black surgeons in the U.S. to serve in the Union Army during the Civil War before he returned to Canada. 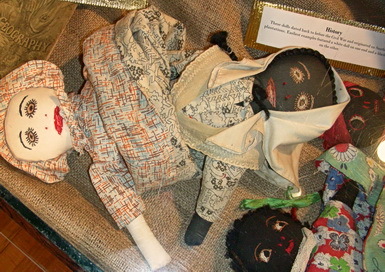 At a museum, we poured over a special collection of toys of former slave children, quilts and displays that meticulously highlighted achievements of a richly lived community. Mary Shadd Carey, editor for the Provincial Freeman, an anti-slavery newspaper for Canada and northern U.S. abolitionists. Buxton, ON 2009. Photo by J.Chong. Park had just been completed. newspaper on her own hand press which ran until 1860, The newspaper expressed the black political discourse of the times. 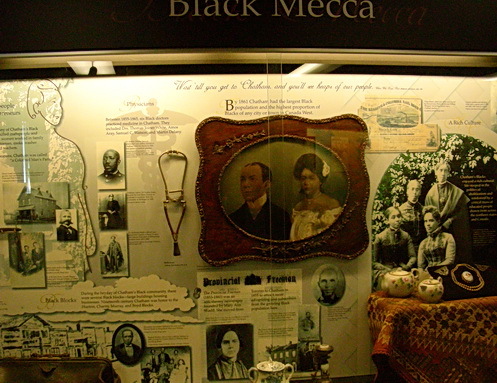 In the cities and towns of Amherstburg, St. Catharines, Chatham and Niagara Falls Ontario / Niagara-on-the-Lake, there are more stories and achievements of former slaves who have gone on to settle peacefully and rebuild their lives. A slice of history that has only come to light within the last 20 years for others outside of this region. The Internet, as well as government funding for research and historical preservation, has broadened awareness in ways not possible before, without visiting the area. It was only decades ago, I still remember media stories of people risking their lives in the dash for freedom over the Berlin Wall that divided West and East Germany or swimming across the waters from the iron grip of Communist China into Hong Kong. 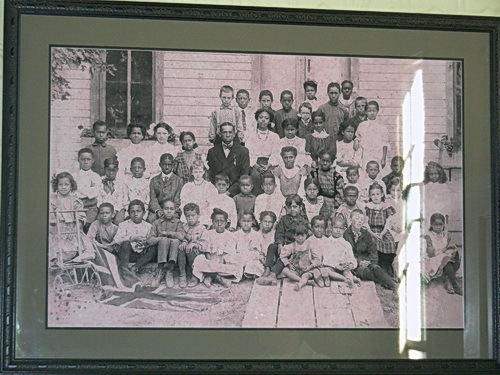 Schoolhouse for black children of former slaves started in 1861 – 1970. First most northernly all black school in North America. Buxton, Ontario. Canada 2009. Photo by J. Chong. Several doctors, lawyers and American politicians came from this school. In Canada we don’t even have to go overseas to find exotic stories and monuments for escapades to liberation. 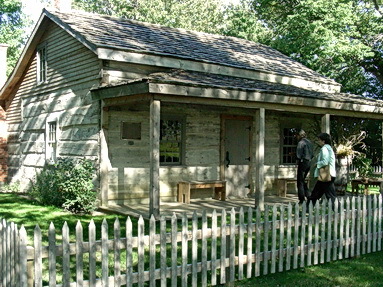 Look no further than the Underground Railroad southern Ontario along the Canada – U.S. border. Note: Over 2 million slaves came from Africa 1680-1862 to the U.S. 4 million slaves in total worldwide from Africa. Buxton National Historic Site and Museum. Ontario. Provides also some short video clips on key historic dates and events that mark the abolition of slavery in Canada, the role of the Underground Railroad, development of Ontario black communities near the Canada-U.S. border and the scale of the slave trade world-wide from Africa. 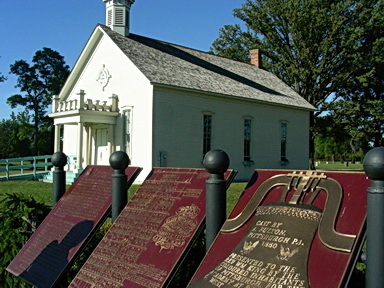 Video clip narrated by curator, Shannon Prince at Buxton Museum, in the schoolhouse. Underground Railroad: Buxton School. Includes special, secret code used by people and slaves to escape to Canada. Davis, Elsie Harding. African-Canadians have a Proud History of Military Service. In Windsor Star, Nov. 11, 2014. Included voices and enlistments from Buxton-Dresden area. Institut Historica Canada. Dresden, Ontario: New Dawn Settlement. 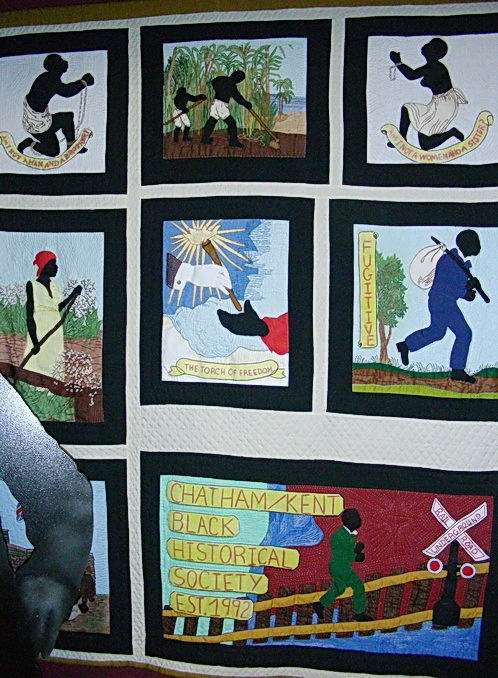 In Black History in Canada: Black Settlement in Early Canada.New Dawn Settlement Tour. Dresden, Ontario. Gives map at the end with detailed text of historic sites. Ontario Heritage Trust. Slavery to Freedom History: The Underground Railroad. Ontario Heritage Trust. Uncle Tom’s Cabin. Thanks for sharing this fascinating history. Hope you found it interesting. I have to add that U.S. President A. Lincoln heard of New Dawn and sent a representative north to Canada to report to him about the situation. 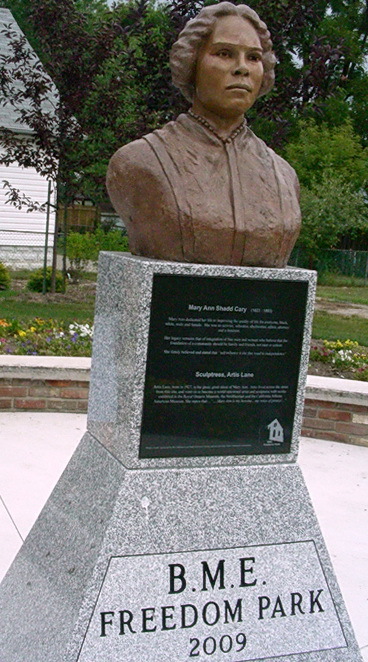 The area also produced several black U.S. military leaders and U.S. black politicians. Thank you so much for publishing this post. It is an outstanding example of excellent informative writing on a subject that’s always fascinated me. We have a passion for Canadian of history in common. I didn’t know half of what you provided and I’m now fired up on history again so I’ll be reading the references too. When I first visited the area when I saw my good friend over 25 years ago, only locals seem to know the history and they tended to take it for granted. Plus the U.S. visitors. In the past few years the provincial govn’t has provided some small grant funding to restore some areas, support the local sites and museum. It’s also for the purposes of tourism too, a 2nd reason for the economy in addition to a primarily agricultural local economy. Nothing wrong with that! Everything is right with that IMHO. Fascinating post, Jean, and extremely well-written. I once lived for a year in a house in upstate New York that was part of the Underground Railroad. One of those truly thrilling chapters in history that somehow gets consistently overlooked. Thanks for sharing. Very cool. The house must have been at least early 1800’s. Was it located within a small town? Thanks for dropping by. Some of Americans living close to the border may be aware of this history up in Canada.